We accept Purchase Orders with approved Net Terms. Call 800-880-4200 to request a Net Terms application. Connecting your world with Intelligent Mobility! For pricing call 800-880-4200 click the above Catalog link! Aruba Networks solutions help businesses engage #GenMobile with exactly what they need, at exactly the right time, no matter what the device or location. With Mobility-Defined NetworksTM, Aruba Networks automates performance optimization and security actions that used to require IT intervention, so the network engineer can stop being the IT authority and become the IT ally. Aruba 802.11ac APs offer more Wi-Fi capacity for devices that are farther away and leverage your existing wired infrastructure. They also support patented ClientMatch™ technology to eliminate sticky clients and AppRF technology to prioritize the handling of cloud apps and unified communications. Aruba 802.11ac APs offer more Wi-Fi capacity for devices that are farther away and leverage your existing wired infrastructure. They also support patented ClientMatch™ technology to eliminate sticky clients and AppRF technology to prioritize the handling of cloud apps and unified communications. Aruba AirMesh outdoor wireless mesh networks combine a high-performance 802.11n multi-radio architecture and intelligent Layer 3 routing for greater reliability and scalability. AirMeshTM outdoor wireless mesh networks offer intelligent Layer 3 routing and support Wi-Fi access as well as point-to-point, point-to-multipoint and full mesh indoor backhaul. Meshing is made easier with Aruba MeshConfig - an easy-to-use web-based tool that simplifies the deployment, configuration and administration of Aruba AirMesh wireless mesh routers. 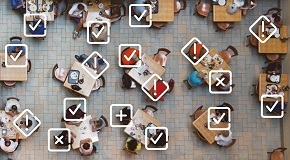 Mobility Access Switches apply policies to wired users and devices based on contextual data – user roles, device types, application flows and location. This context-awareness is essential to mobility. 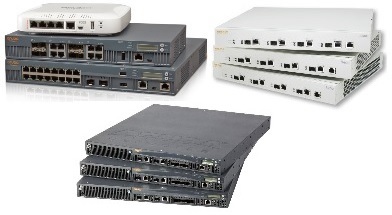 Aruba Mobility Controllers deliver enterprise-class wired and wireless connectivity to branch networks. They can operate autonomously at one location or be deployed as remote nodes in hundreds of offices that are collectively managed by a central Mobility Controller. 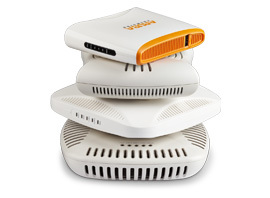 AirWaveTM is the only network operations system that centrally manages multivendor wired and wireless networks across any number of locations. Unlike traditional port-based management, AirWave employs a user-centric approach, identifying who is on the network, where they are accessing the network, the mobile devices they’re using, and how much bandwidth is being consumed by specific devices. The ClearPass Access Management System lets you create and enforce policies that extend across the network to devices and applications. This gives you total control over mobility services and a simpler way to roll-out BYOD. 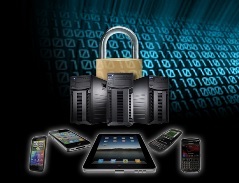 AirWaveTM VisualRFTM brings the visibility and context needed to effectively manage today’s mobile network. 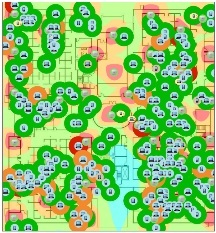 Providing an accurate view of the entire network VisualRF automatically generates maps of the RF environment and underlying topology, including device health, to show what the network looks like in real time. The ArubaOS™ Policy Enforcement Firewall™ (PEF) module provides identity-based controls to enforce application-layer security and prioritization. With PEF™, IT can enforce network access policies that specify who may access the network, with which mobile devices and which areas of the network they may access. RFProtectTM software (Wireless Intrusion Protection) prevents denial-of-service and man-in-the-middle attacks and mitigates over-the-air security threats. You’ll never need to purchase and install separate RF sensors or security appliances if you have an Aruba wireless LAN. Provides integrated threat protection, 24/7 protection against threats and attacks, and easily tailored compliance reporting and distribution to fit your unique audit requirements. CPU Distributing, Inc., CPU Distributing, CPU logo are trademarks or registered trademarks of CPU Distributing, Inc. or its subsidiaries.All other third-party marks mentioned herein may be trademarks of their respective owners. Copyright © 2001 – CPU Distributing, Inc. store built with Volusion.